Gareth works across SF’s Access to Energy portfolio, with a focus area on the financial products and services required to provide capital to organisations working to provide access to energy. Gareth works with a number of SF partners in Africa and India helping them design and deliver the types of financial products needed to grow the market for off-grid energy generation. He also works with USAID and DFID to deliver partnerships that catalyse early stage enterprises. 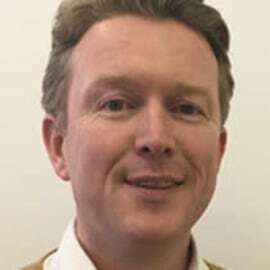 Before joining SF in February 2016, Gareth worked in the UK Social Investment industry for 11 years providing debt, equity and advice to socially and environmentally focused organisations as Fund Manager for Triodos Bank, Investment Manager for UnLtd and Senior Investment Manager for CAF Venturesome. Gareth has an MBA in Corporate Social Responsibility from Nottingham University Business School.